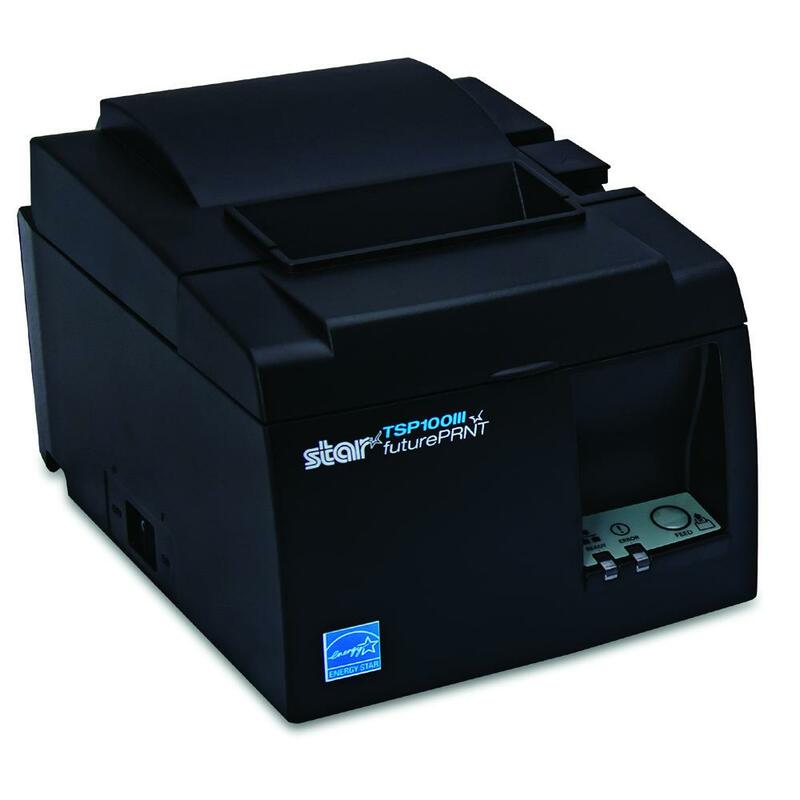 The Star TSP100 printer series has the ideal thermal receipt printer for all retail requirements. 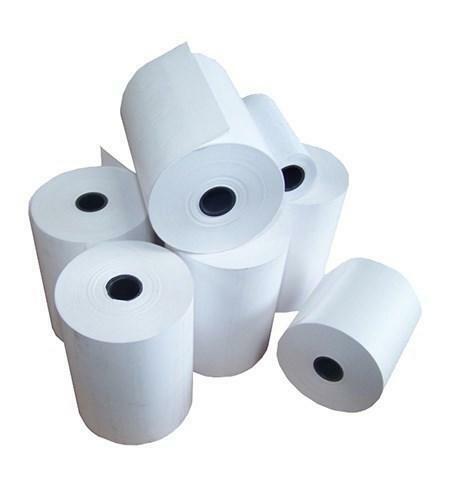 A complete "out of the box" solution with all standard operating systems drivers (Windows, Linux and Mac) and specialty drivers such as OPOS and JavaPOS. 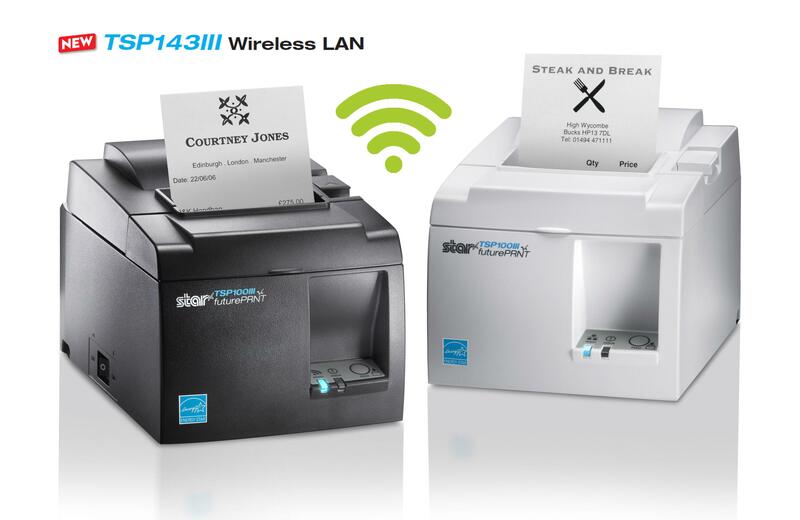 The latest Star TSP143iii model has a host of energy and cost saving features. It's power saving mode places the printer into standby whenever the host PC goes into standby, using up to 40% less power and earning Energy Star compliance. 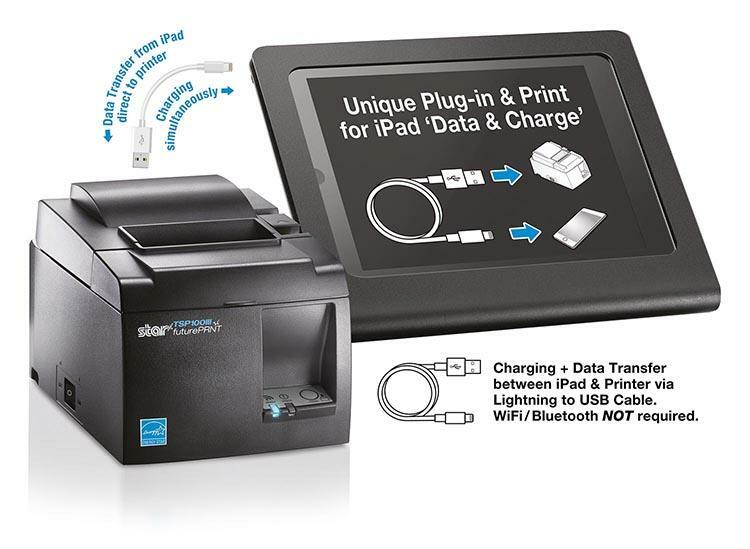 Interfaces: USB, Ethernet, WLAN, Bluetooth, enhanced USB for Lightning cable connection to iPad.